If you've ever been the victim of bullying, you probably thought that if you were prettier or thinner or smarter or just better, it wouldn't have happened to you. But unfortunately that's not true. Bullying can happen to anyone—and Makaila Nichols shared her story to prove it. As a model, Makaila has faced her share of hurtful comments and negative pressure just like any other teenage girl and decided enough was enough. 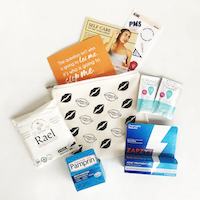 She recently released Blatantly Honest, her book describing the struggles she has overcome and how other girls can find the courage to face their own bullies. In honor of October being National Bullying Prevention Month, we chatted with Makaila and found out how to build killer confidence—and not let the haters get to you. Girls' Life: Can you tell us a little bit more about your book and what inspired you? Makaila Nichols: It actually started off as a bit of a rant. I was in the shower and was like "you know what, I need to do something" so I walked over to my laptop and started pounding out word after word. I was just talking about what it was like being bullied and advice I wish someone would've given me. My book is about everything I've dealt with from being picked on to dealing with low body image. It's all what I was going through, not only being in the entertainment industry, but also just being a teenage girl. GL: What made you want to share your story with the world? MN: I've always been like everyone's big sister. I'm an only child so I never really got the opportunity to be an actual sister. But in school, a lot of the girls who weren't so popular would talk to me because I was always really accepting and welcoming. I decided that it was girls like that, girls who just needed a friend, girls like who I was that needed my story. My mom used to joke I was a misfit, like in Rudolph, and I was. That was me. So I thought it was important for other girls to hear it from someone who has been there. GL: How did you overcome the bullying and what was said to you? MN: It definitely took me awhile to get over...I mean it still happens now. It happens to anyone, at any age. For me personally, I'm really passive so I never wanted to confront the girls that were bullying me. So I figured out that being nice and not letting them know that it got to me was the best solution. I just accepted who I was and was like, "This is me and if you don't want to be my friend for who I am, then I don't need to be yours." GL: What do you think helped most in building your confidence? MN: I was a gawky 14-year-old girl who was taller than all her friends and just different so modelling made a huge difference. But aside from that, I felt most confident when I could just be proud of who I was and didn't care what other people say. Figuring out what you're passionate about and what you're good at really helps. GL: What would you say to other girls who are struggling with similar things that you went through? MN: Just be yourself. And that's hard these days because we're all twelve different things but when we can just accept our differences and our unique traits, we're so much happier and people want to be around us. So be yourself, love yourself and, most of all, respect yourself. Because if you don't respect yourself, no one else will either. 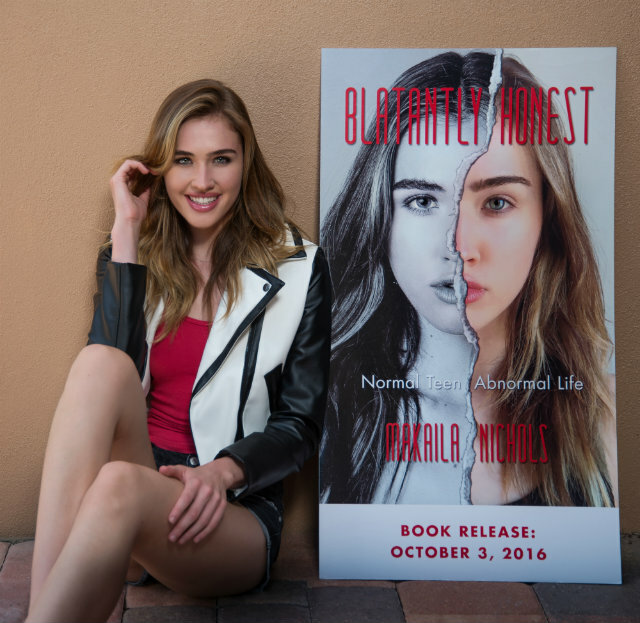 Grab a copy of Blatantly Honest here and, if you want to get more involved, check out No Bull (Makaila is their national ambassador!) where you can enter the global video challenge, get support and raise awareness. Have you ever been bullied? How did you deal with it? Let us know below!